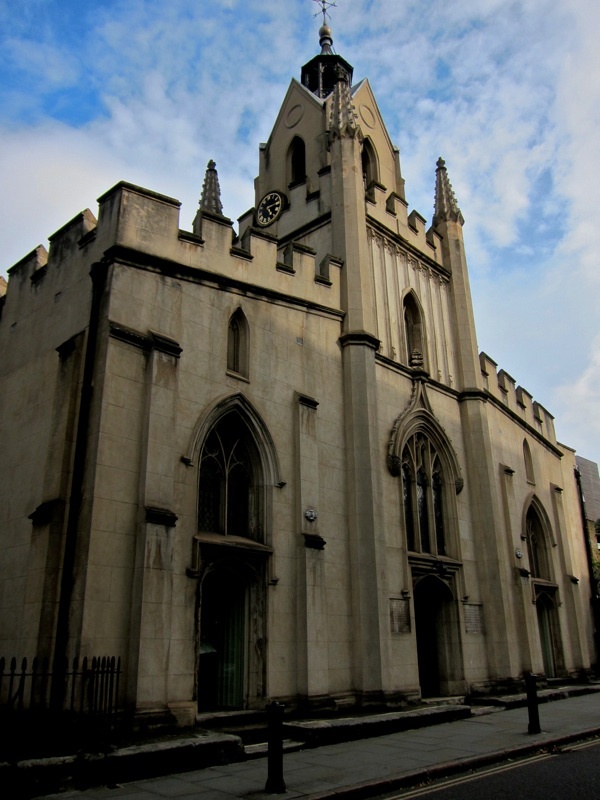 Twenty-five years ago I had reason to visit Bermondsey St frequently but I have hardly been there since, so I thought it was time to walk down across the river and take a look. Leaving the crowds teeming like ants upon the chaotic mound that is London Bridge Station in the midst of reconstruction, I ventured into Guy’s Hospital passing the statue of Thomas Guy, who founded it in 1721, to sit with John Keats in a stone alcove from old London Bridge now installed in a courtyard at the back. From here, I turned east through the narrow streets into Snowsfields, passing the evocatively named Ship & Mermaid Row, and Arthur’s Mission of 1865 annotated with “Feed my Lambs” upon a plaque. An instruction that has evidently not been forgotten, as the building adjoins the Manna Day Centre which offers refuge and sustenance to more than two hundred homeless people each day. 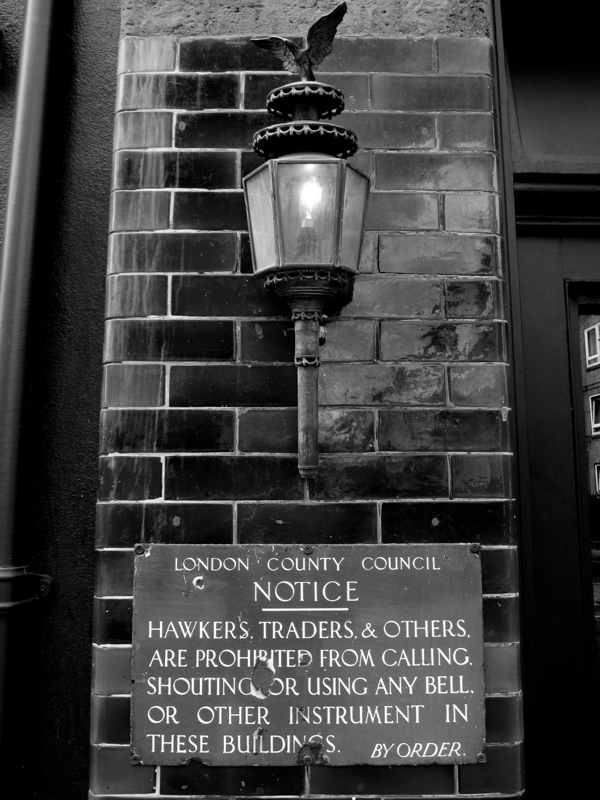 At the end of Snowsfields is the crossroads where Bermondsey St meets the viaduct carrying the railway to and from London Bridge, and the sonorous intensity of the traffic roaring through, combined with the vibration from the trains rattling overhead, can be quite overwhelming. 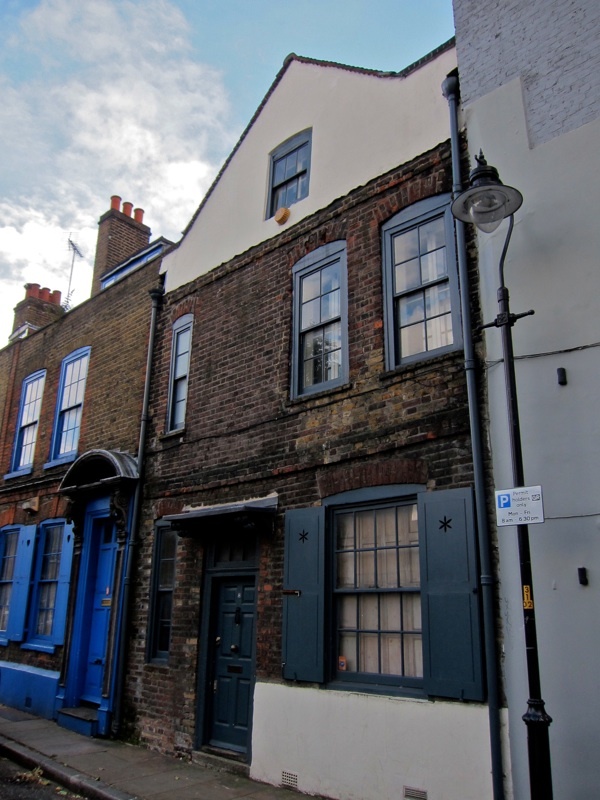 Yet the long narrow street beckons you south, as it has done for more than a thousand years – serving as the path from the Thames to the precincts of Bermondsey Abbey, a mile away, since the eleventh century. When I first came here, I never ventured beyond Bermondsey Sq. 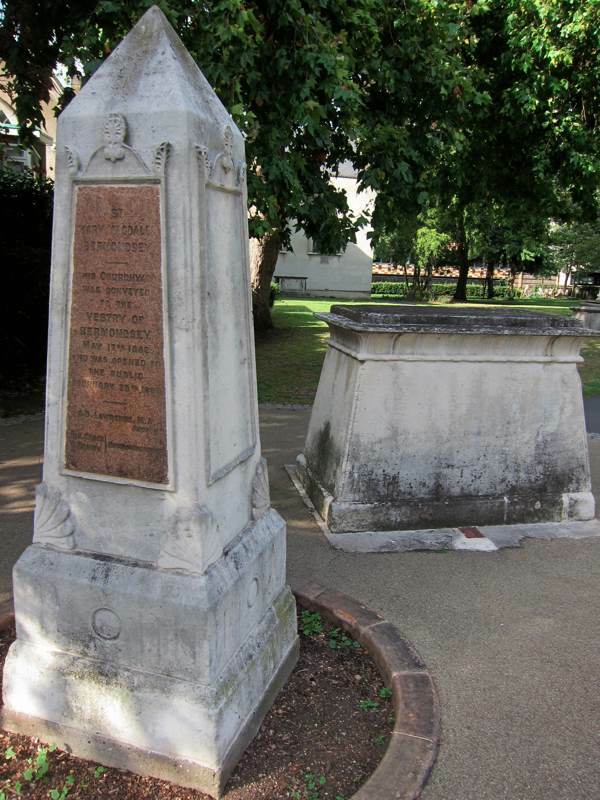 Only when I learned of the remains of the medieval gatehouse in Grange Walk beyond, with the iron hinges still protruding from the wall today, did I understand that Bermondsey St was the approach to the precincts of the Abbey destroyed by Henry VIII in 1536. 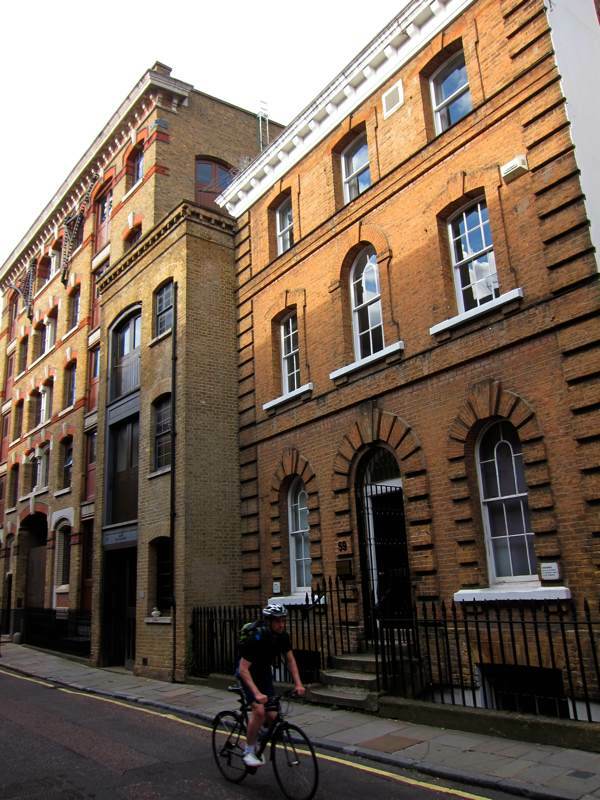 There is an engaging drama to Bermondsey St with its narrow frontages of shops and tall old warehouses crowded upon either side, punctuated by overhanging yards and blind alleys. A quarter of a century ago, everything appeared closed down, apart from The Stage newspaper with its gaudy playbill sign, a couple of attractively gloomy pubs and some secondhand furniture warehouses. 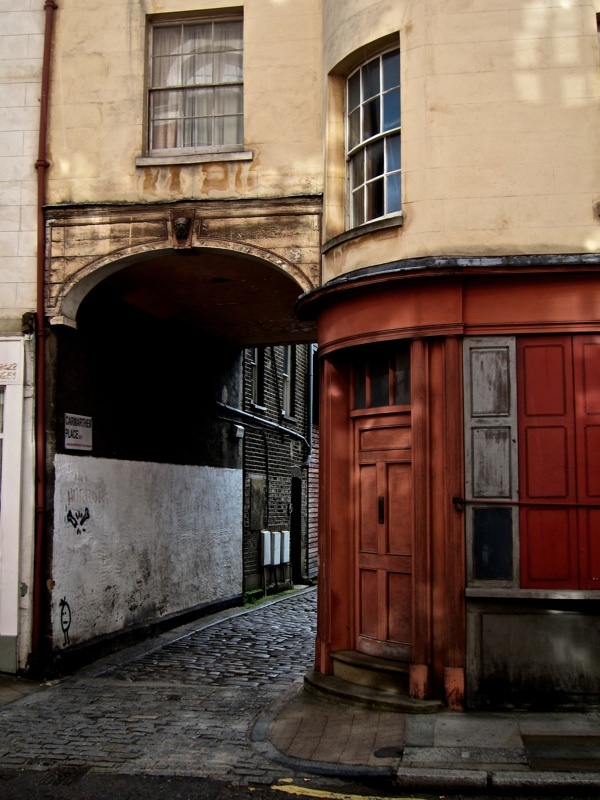 I was fascinated by the mysteries withheld and Bermondsey St lodged in my mind as a compelling vestige of another time. Nowadays it appears everything has been opened up in Bermondsey St, and the shabbiness that once prevailed has been dispelled by restoration and adaptation of the old buildings, and the addition of fancy new structures for the Fashion & Textile Museum and the White Cube Gallery. Yet, in spite of the changes, I was pleased to discover RW Autos still in business in Morocco St with the horses’ heads upon the fascia, indicating the origin of the premises as a farrier. Nearby, the massive buildings of the former London Leather Exchange, now housing dozens of small businesses, stand as a reminder of the tanning industry which occupied Bermondsey for centuries, filling the air with foul smells and noxious fumes, and poisoning the water courses with filth. The distinctive pattern of streets and survival of so many utilitarian nineteenth and eighteenth century structures ensure the working character of this part of Bermondsey persists, and you do not have to wander far to come upon blocks of nineteenth century housing and old terraces of brick cottages, interspersed by charity schools and former institutes of altruistic endeavour, which carry the attendant social history. Thus Bermondsey may still be appreciated as an urban landscape where the past is visibly manifest to the attentive visitor, who cares to spend a quiet afternoon exploring on foot. 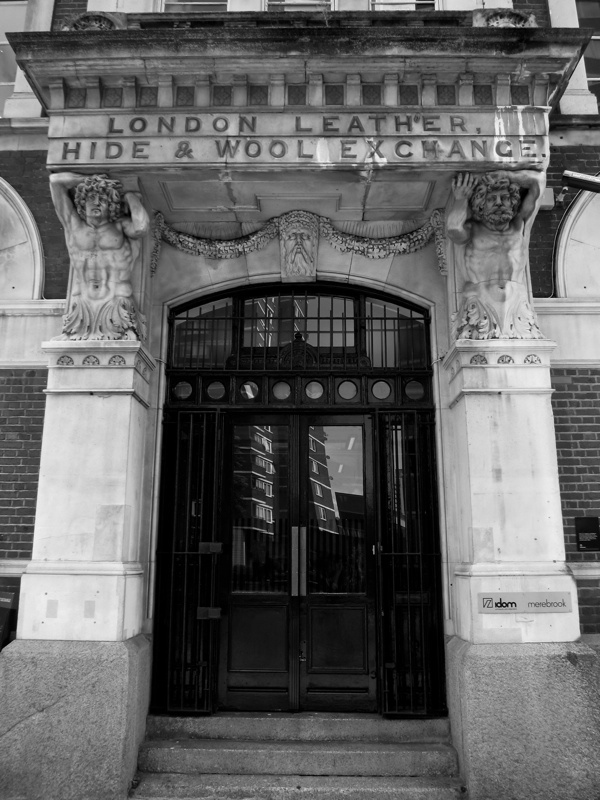 London Leather, Hide & Wool Exchange built 1878 by George Elkington & Sons, next to the 1833 Leather Market, it remained active until 1912. I so enjoy reading these everyday, Thank you. 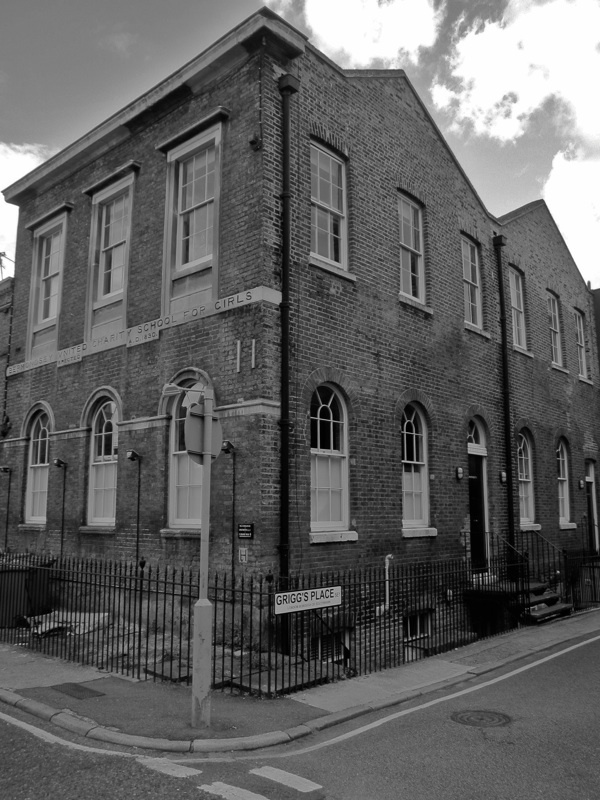 Especially today as you have a photo of Carmarthen Place, where my great, great grandfather lived in the 1850′s. Do you have any mor shots from there? He lived at no 2. 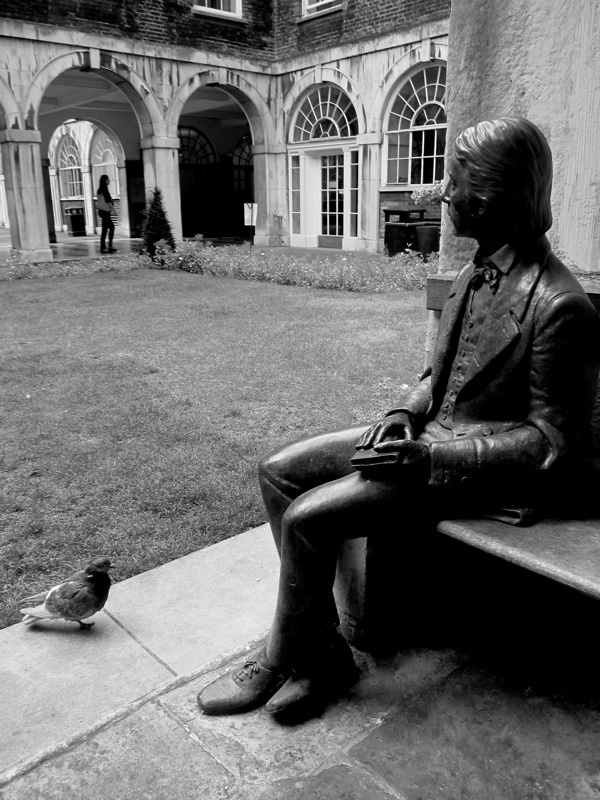 A splendid picture of triangular dynamics, Gentle Author: the pigeon eyeing Keats eyeing a young lady in the colonnade. 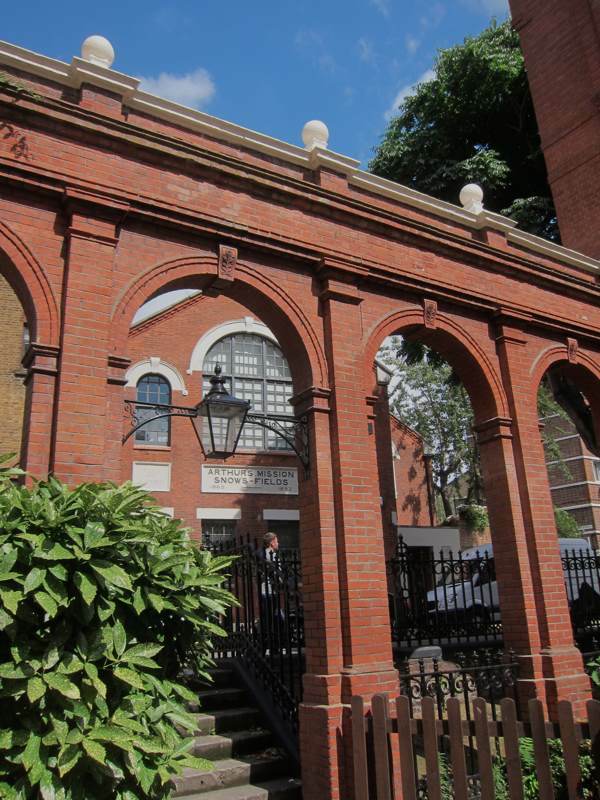 As a south-east Londoner I too have enjoyed exploring Bermondsey: the Ragged School, Arthur’s Mission, the fading sign of a wire works, the curiously named Hardwidge Street, and leather warehouses in Morocco Street. 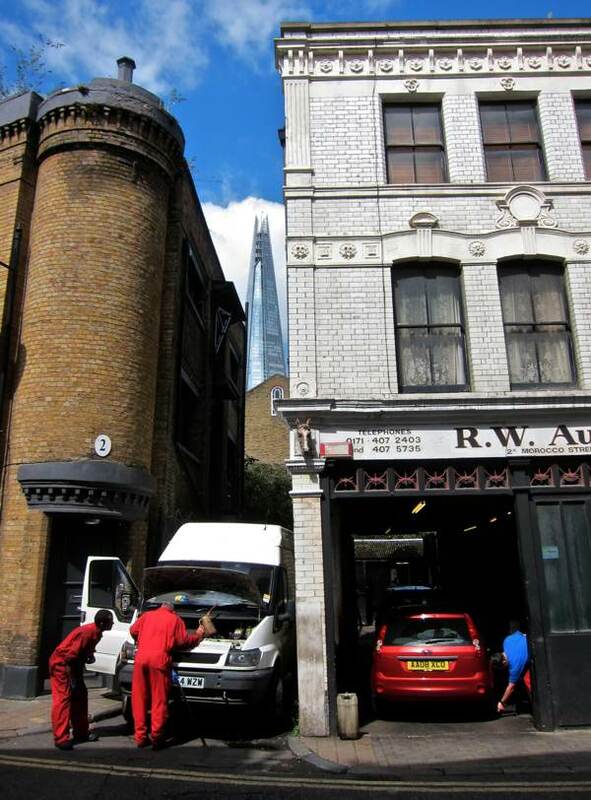 Following a dispute with their landlords at Borough Market, several traders have decamped to the railway arches in Maltby Street, where ‘artisan foods’ rub shoulders with the Beddy Buyz mattress warehouse. 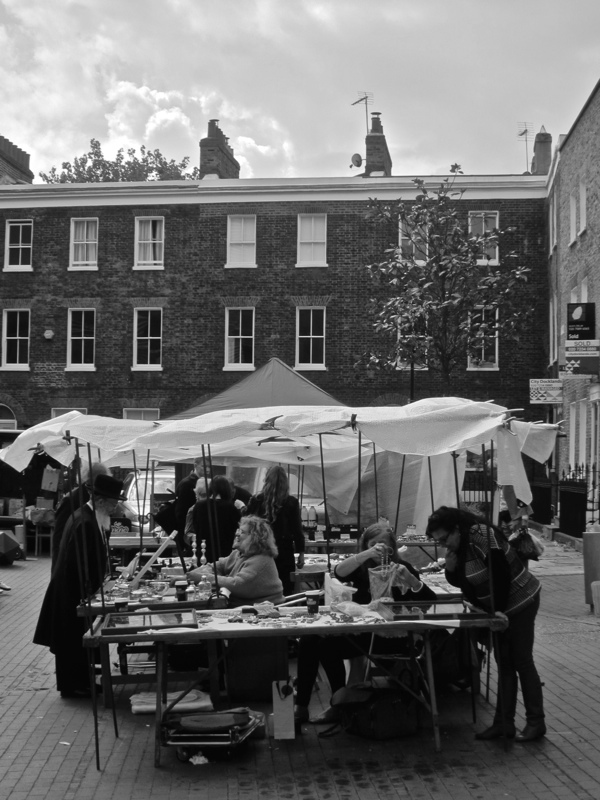 When I first moved to London from the States over twenty years ago, the first market a friend took me to was that in Bermondsey Square. I remember it well for all the silverware that was sold there and I still use what I purchased that day. Little did I know that one day I would find myself at work on Bermondsey Street–probably one of the very last footwear/leather related companies in the area. While I was a student at Cordwainers and the Royal College, there were still a few tanneries to be found on those back streets. 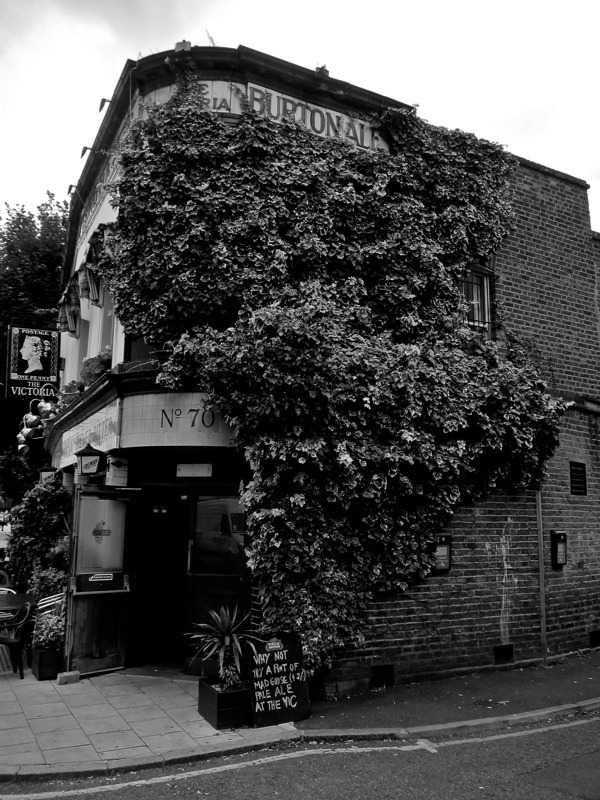 Dickensian establishments run by old men in creaky buildings that hadn’t seem the light of day for decades. All those have shut now. (Though there are a few still in Whitechapel and the Highway) And the company I worked for moved closer in to town. The last of the leather workers making way for bankers’ very swanky warehouse flats. I so enjoy looking at your stories and pictures every day! My relatives lived in Bermondsey, and your photos give a glimpse of what it must have been like to live there in years gone by! Dear Gentle Author… love your seeing eye which takes me to places I can no longer visit. Long may you freely roam! Snowsfields, gateway to the Bermondsey Street Conservations Area. Established 1971. But be warned. Be quick. The gate now has a ‘Opportunity Area’ sign over it, and left unlocked the developers have got in and staked a claim. First wanting 18-storeys, then 11 before settling for ‘an above the ordinary’ 7 and a bit. For now. As they know, and now so do we, that even if official policy had locked them out — as it had – Peter John’s Southwark Council was going to give them the key, and a hearty welcome. After all this is now the “London Bridge Business Quarter”. And there’s money to be made in the shadow of the Shard. Its 87 shimmering storeys setting a useful precedent. Useful for some. And we know who they are. Not resident, not local business. A Spitalfields story indeed. And so it was, nearing the end of a 4.5 hour sitting of the planning committee in April, after more than an hour of LibDem conscience-raising questioning — “surely we should be following agreed strategy and guidelines” — the four Labour councillors, eager for proceeds for their regeneration-needy constituencies in the south of the borough, made a further raid on ‘the nest of the northern golden goose’ and block voted against the three LibDem ‘ultra local’ councillors, so as to approve the scheme and dismiss the debate that was described by one committee member as “the worst she’d ever known”. It was 11pm. A new darkened day was about to dawn. Bermondsey has long held out. It held its breath. But it’s now held to ransom unable to ensure civic leaders and officers are held to account. 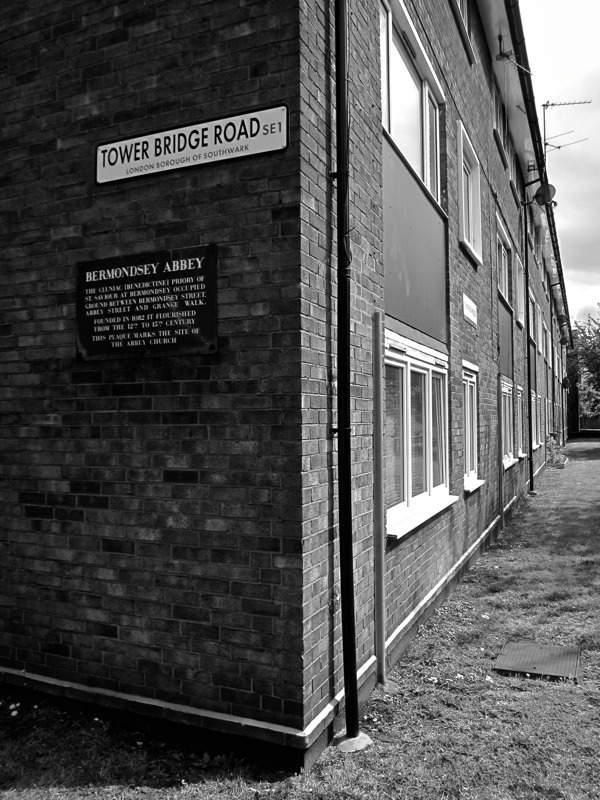 So for another few months the ‘In Old Bermondsey’ photos and story will hold true. But then it begins. Another ‘snout in the trough’ redevelopment — a win for that same-old developer strategy of holding heritage assets in abeyance for long enough to then be able to make the case that these buildings have no viable use, no ‘market’ as is. 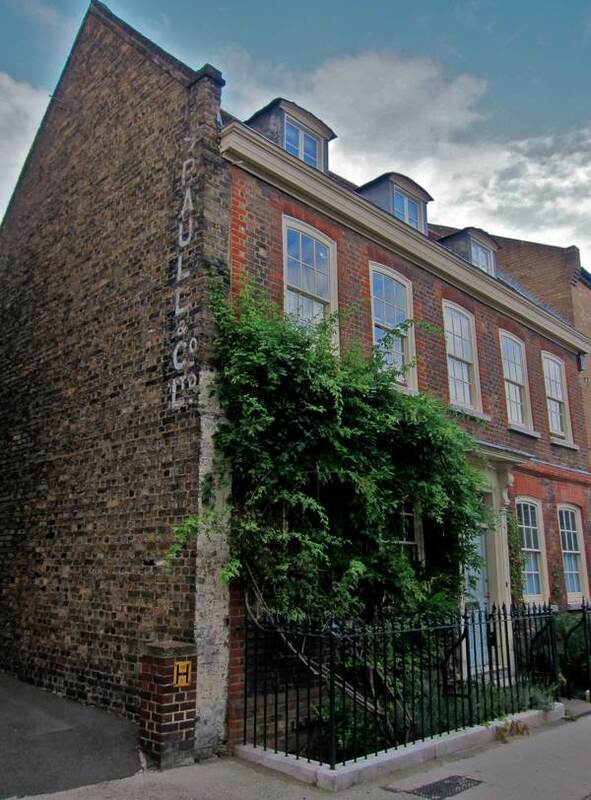 And of course the architects were bought in from ‘outside’ despite the surroundings streets being home to a concentration of design and build professionals equal to if not exceeding that of Spitalfields. 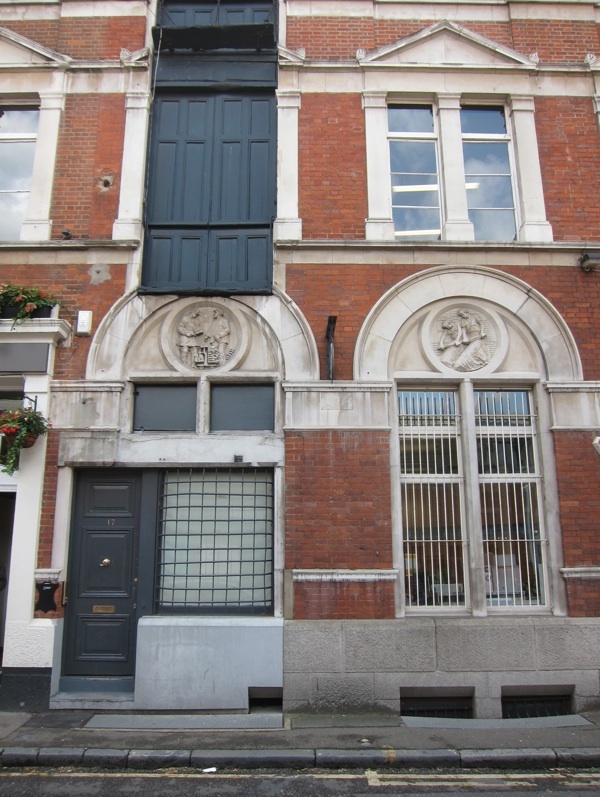 Indeed the Arthur’s Mission building — so beautifully immortalised in today’s photo-story from GA — is the office of the architect-chair of the surrounding London Bridge BID (Business Development District). And that new home for the Manna Centre, the day shelter for the homeless – that made the case so ‘compelling’? Smaller. Much smaller. Of course. And they lose their yard — an overspill area that is so important when things ‘get tough’ for the 180-plus homeless gathered inside for lunch, for showers, and for the allocation of clothes from the store that we as supporters keep supplied. This outdoor space is also where the furniture store is housed, ensuring that when any of the Centre’s users are able to secure more permanent accommodation, with the able assistance of the Manna team, there are ‘bits and pieces’ to furnish their new home with. “All part of the service”. A vital part. And the yard, as buffer zone between the shelter and the outside world including the long established residential accommodation immediately surrounding the centre, is also very practically where Pat and Paddy – the two manager-heroes of the Manna – park their van so as to be able to provide the transport that the centre really couldn’t ‘meet the need’ without. In fact I’m not sure how they will manage without it. But then needless to say a homeless shelter – ever grateful, necessarily, for anything it is offered – can be ‘bought cheap’. Just about the only thing that can still be in these SE1 back streets! Or in his absence there would need to be enough of us living “beyond the ‘buck’…” (the fast one to be made and/or the one that’s all too quickly passed!) to uphold and develop “for the long-term forever” the ‘things of beauty’ that are in fact a joy for so many of us. And I’m not sure that there are. As sadly it would seem that the time of ‘passing into nothingness’ is upon us in Bermondsey. The world beyond the rarefied courtyards of Guy’s Hospital, that provide timeless shelter to John K’s memory-in-monument, is re-establishing itself anew in the image of non-loveliness. ‘Forever’ is forgotten. All that needs to be thought of and remembered now is ‘the now’ and the fortunes and reputations to be made from ‘capitalising’ on it. 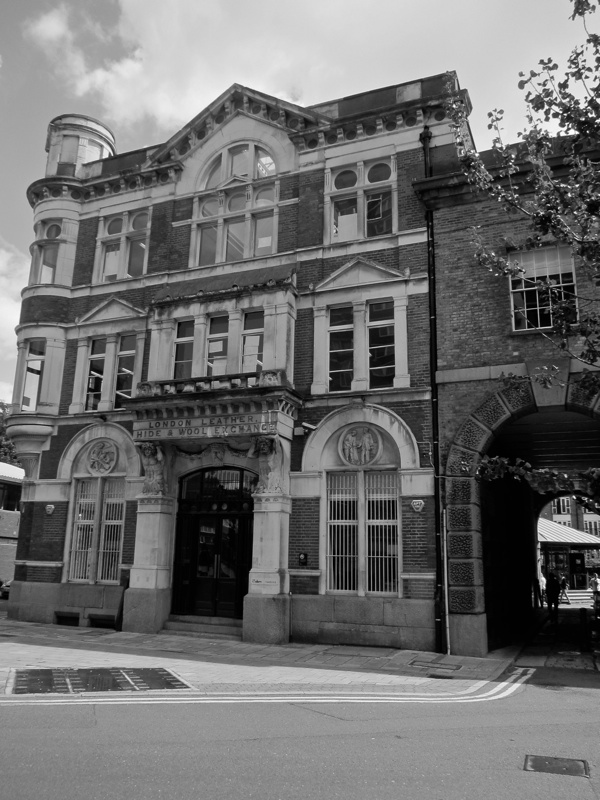 The incomer-developers working around London Bridge station have had to hit all that beautiful Victorian stonework and ornate masonry so hard before it would fall. But made to fall it was. The history is so entrenched in areas if you know where to look. Unfortunately the huge development projects which are currently in vogue risk sweeping it all away. Blogs like this inform of what can be lost. Thank you again. Thank you so much for this GA. So many of my ancestors lived in Bermondsey that I have lost count, my great grandfather was born in Spa Road, and his mother had a stall in Bermondsey Street selling greengrocery, how different it all must have been then. 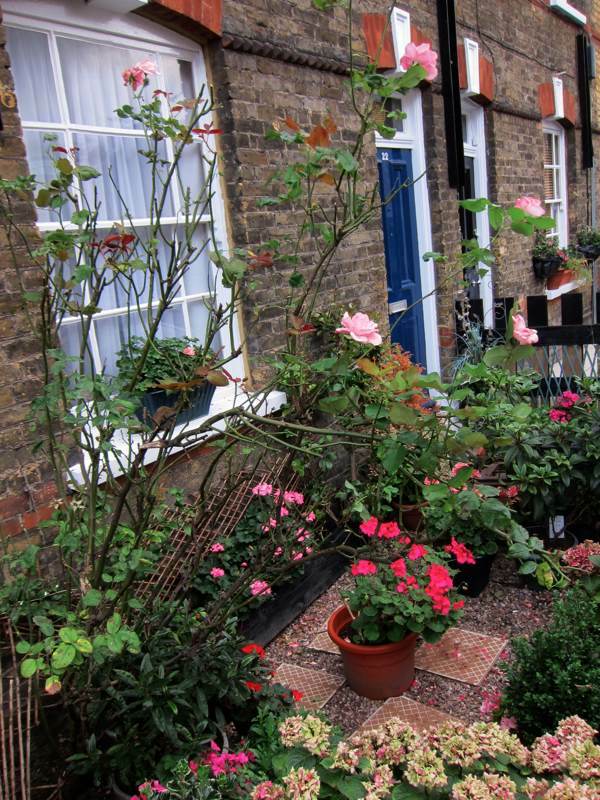 Lovely to see the pretty cottage garden. I couldn’t have explained it any better…! However, I meant to visit the second-hand furniture warehouses especially, but from what you have said, they aren’t there anymore anyway… There was also a medical museum that I really wanted to see, too. Is it still there? 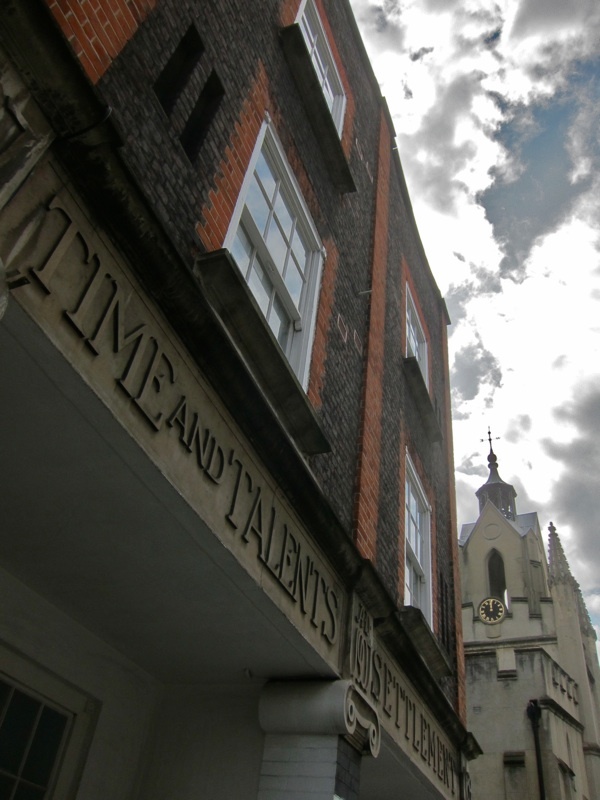 Perhaps it was Guy’s Hospital — do you know if they have a museum? If so, is it still open to the public? We did visit the Dungeons, although it wasn’t what we were actually looking for. We had asked for directions to the Scotland Yard Museum and instead were directed to the Dungeons. And now I believe that the Scotland Yard Museum is open only to police professionals — what a shame! 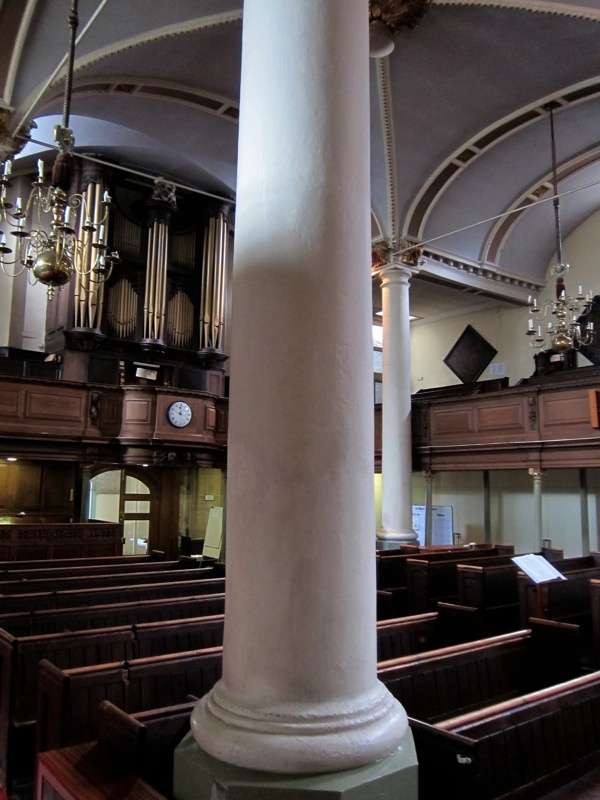 Is the London of old literature disappearing? Any city can have skyscrapers and lots of glass windows, but London is unique in preserving so many of the old landmarks… And that is why so many of us tourists travel there. We love it so. I’ve returned to Bermondsey Street recently for the first time in 5 years and was charmed by the street – how it is still a lively working and residential area. 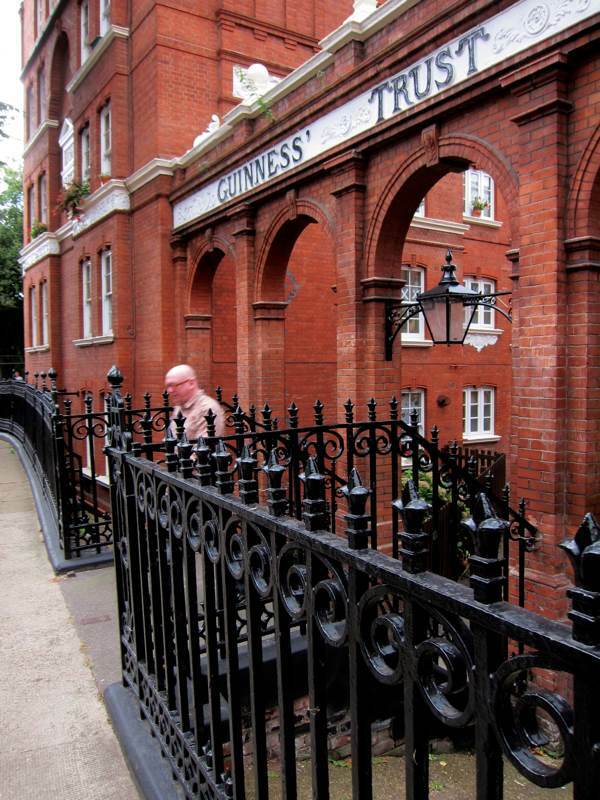 Some of the restorations (as shown in your photos) are tastefully done – retaining the character of the buildings. Yes there are architects and galleries (the reason I’ve been down there is to exhibit in a gallery) but it does feel that this is an area where all sorts of people live and work. I’m sorry to read what Jane B says about Southwark Council planning committee allowing development to destroy the area. And that the Manna Centre will suffer. We need laws to stop developers holding on to buildings and land. Are these buildings listed? As a junior newspaper reporter in the early 90s (not in London) I remember covering stories of councils forcing owners of listed buildings to carry out restoration when they had deliberately left the buildings to fall down. I don’t want to see any more of Boris’s towers in London. The views along the river from Waterloo Bridge have been spoiled by them. Can we join a campaign to stop this development? please, what is the skull drawing in the last photo?? 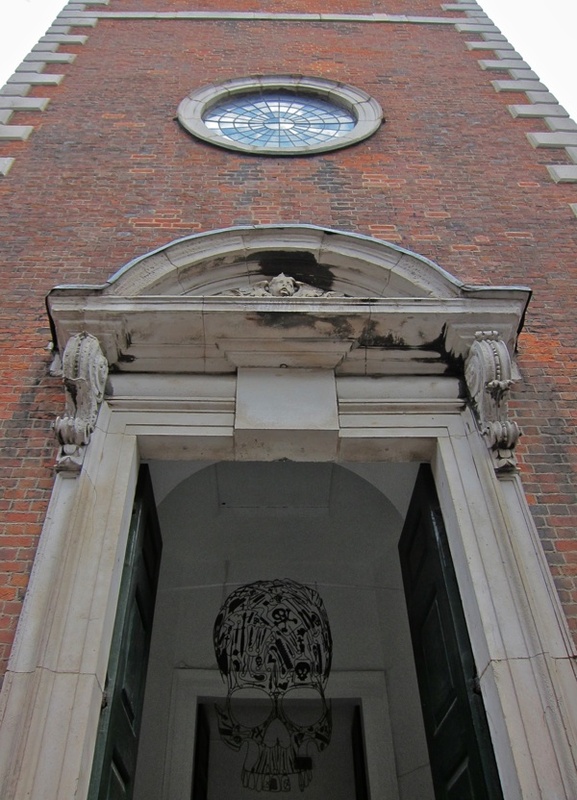 the one of the entrance to st thomas’ church? Just the word Gentle was enough to draw my scanning eye away from my initial search and here I am dosed up with a mix of nostalgia and excitement. I have saved some for later, but for now I should like to say ‘Thank you’. 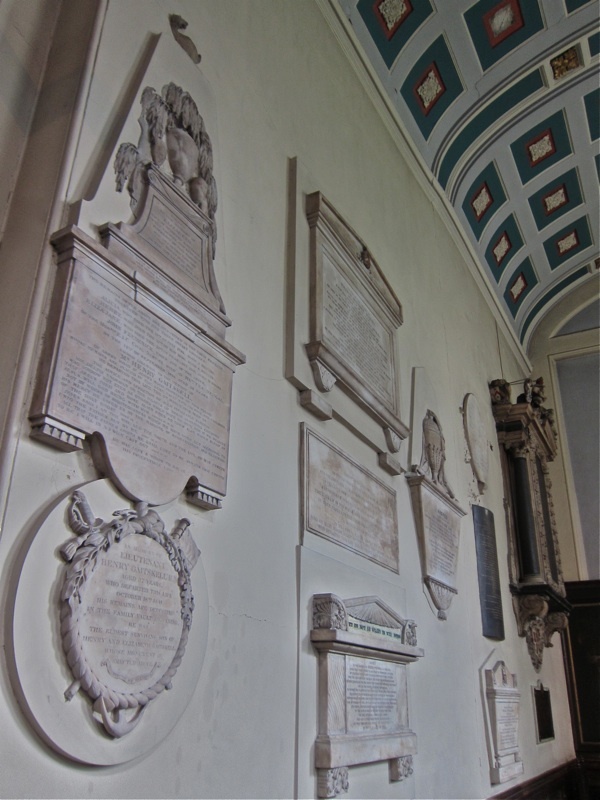 I am in the process of building my paternal family tree which now goes back to 1485. My Father was born and brought up with 7 siblings and lived in a tiny slum in Ship & Mermaid Row and went to Snowsfields school and also Sunday school @ Arthur’s Mission. I can’t wait to get back later for an extended view. Does anyone have any pictures of The Rose public House from about 1938 to about 1942. A relative worked there & I’d like pictures of interior of it at that time if possible. Recently visited there but it has all been changed inside & out. I was so glad to see this item on Bermondsey today. I only returned last Saturday, 17th September to Bermondsey Street and, whilst saddened by some of the sights I saw, happy to see new life in the area but a worry the greed of the developers will completely destroy it. I did not live far from Page’s Walk and went to school opposite the cottage. In my day it was Bermondsey Central, then Bacon and now I believe the building has been turned into luxury flats. Happy to see the church, I was a bridesmaid there back in the 1970s. Thanks for these happy memories. Not sure how I stumped across this but so pleased I did! I’ve been to Grange Walk, just once a few years ago, to find the houses where my grandparents lived before marrying at st. Mary Magdalene church Nov 1901. I never had the chance to go in sadly. One house remains, can’t recall Tor number. The other is long gone. The remaining house was where my maternal grt grandparents lived and it was with huge sadness that, from her death cert., I found she died there in her early 50′s from ‘apoplexy due to alcoholism’. What sort of life had she lived? 7 children and her husband a warehouse man. Try as I may I can’t imagine much happiness for her. These pictures help us to realise what the area was like but oh how I wish they could talk! My grandparents moved to Rotherhithe then down into Kent leaving their London behind. But I cherish my roots, although I now live far away in Cumbria. A few weeks ago we were able to go up The Shard whilst spending a short break at Greenwich. How amazing to look down on the little area that formed my family’s world. I wonder what they would make of it now?! Just found this article about Bermondsey. I can recall right back to when I was living in Kinross Street which is now part of the park where Tanner Street meets Bermondsey Street. And yes I can remember the Farrier on the corner of Morroco Street. I used to watch fascinated as the big shire horses were being shod. Probably horses that belonged to Tommy Hatcher as that was the local haulier. I particularly remember the smell when the hot shoes were put on the hoof. My brother and I would chase after Tommy Hatcher’s carts and hang off the back. The time was 1946/47. Further up Bermondsey Street was a place that ground spices. I would watch the machine through the open door. Then there was the smell of custard from Monk and Glass. We would walk to school in Melior Street (La Salette). I also remember watching the tanners working, and the smell of vinegar from Sarsons in Tanner street. Little did in know that my dad would soon own “The Jolly Tanners” in Rothsay Street.